We don’t always know why canker sores form. 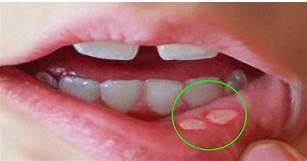 Canker sores are often white with a red border. clusters in your mouth to form one large sore.